Mikhail Rudy is an artist of great creativity and charisma, whose virtuosity and poetic imagination have enthused audiences all over the world for 40 years. 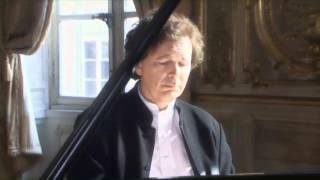 Born in Russia, Mikhail studied with illustrious pianist Jakov Flier at the legendary Moscow Tchaikowsky Conservatory and won First Prize in the Marguerite Long Competition in Paris in 1975 (presently Concours Long-Thibaud-Crespin). Shortly afterwards, during his first concert tour, was granted political asylum in France. Since his Western debut in Beethoven Triple Concerto with Rostropovich and Stern on the occasion of Marc Chagall’s 90th birthday, Mikhail collaborates with the greatest orchestras such as Berliner Philharmoniker, Symphonieorchester des Bayerischen Rundfunks, Orchestra Filarmonica della Scala, Royal Concertgebouw Orchestra Amsterdam, Cleveland Orchestra, San Fransisco Symphony, London Symphony and Saint-Petersburg Philharmonic. Under the baton of the most prestigius conductors of his time such as Herbert von Karajan, Lorin Maazel, Mariss Jansons, Yuri Temirkanov and Michael Tilson Thomas. Among Rudy’s many recordings are more than 30 works for the EMI Classics label, many of which have been awarded prizes. In a special issue of BBC Magazine, Mikhail Rudy was named among the world’s 20 greatest pianists. Passionate in artistic projects of all kinds, Mikhail explores various creative forms of concerts. His autobiographical « The Novel of a Pianist », published in 2008, was unanimously acclaimed by the critics. 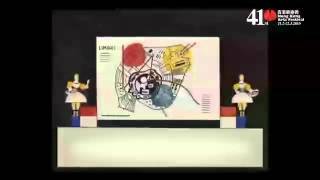 In 2010, in collaboration with the Centre Pompidou and the Philharmonie de Paris, he produces an animated film based on Kandinsky’s staged version of The Pictures at an Exhibition composed by Moussorgsky, which he performs in concert version all around the world (Guggenheim Museum in New York and Bilbao, Moscow, Saint Petersburg, Milan, London, etc.) In November 2019 the film is projected for the first time with orchestra at the Philharmonie de Paris accompanied by the orchestra Les Siècles. 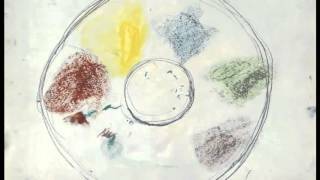 In 2013, on the Chagall family request, Mikhail creates an animated film based on Chagall’s unpublished sketches and final version of the Paris Opera ceiling. After its launch at the Chagall Museum in Nice, Rudy plays the project « Chagall the Sound of Colours » throughout the world. In 2015, he is co-curator of the Chagall exhibition: « Marc Chagall, the Triumph of Music » at the Philharmonie de Paris, an exhibition which is later presented in Montreal and Los Angeles in 2017. Many collaborations with artists from various backgrounds include cult film-makers The Quay Brothers, the legendary techno musician Jeff Mills, actors Robin Renucci and Denis Lavant, the Norwegian jazz musician Misha Alperin or the great visual artist Philippe Parreno with whom he collaborates in major projects in Milan, Porto, Florence, the Palais de Tokyo in Paris and Park Avenue Armory in New York where Mikhail performs daily during two months. He is a regular guest of the Fondation Beyeler in Basel, where he creates several performing projects including the piano version of Scriabin’s Prometheus with Austrian visual artists Arotin & Serghei. Mikhail Rudy was the founder and artistic director of the Saint-Riquier Music Festival for 20 years. In 2019, he forms a new festival: Impressions in Vernon-Giverny, of which the concept is to create dialogues between different art genres. In 2018, at the launch of the festival, Mikhail gathered with him actor Michel Bouquet and singer Nathalie Dessay. In 2019, the festival presents an eclectic program ranging from baroque to electro music, with artists such as Marie-Agnès Gillot. All year round, Mikhail is developing a large educational program for young people in the region all along the year. In 2019, he participates in the famous experimental project of Russian producer Ilya Khrzhanovsky DAU at the Théâtre de la Ville and at the Théâtre du Châtelet in Paris, giving fourteen recitals during the projet period. 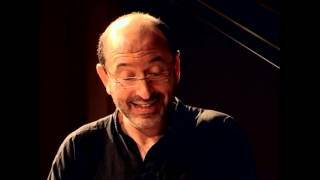 Highlights of his 2018-19 season include, alongside his appointment as "Special Professor" at the famous China Conservatory of Music, concerts in Scotland (Lammermuir Festival), Italy (Verona and Mantua), Netherlands (Rotterdam) and at the Grand Salon des Invalides or the Nuit Blanche of the Philharmonie de Paris, in France. Andrjez Szpilman and actor Robin Renucci, for his play The Pianist, inspired by Wladyslaw Szpilman’s book. His theatre production with British actor Peter Guiness at the Manchester International Festival was elected « The Best Play of the Year ». The French multi media artist Philippe Parreno for a successful collaboration at Palais de Tokyo in Paris in 2013, followed by an invitation in summer 2015 to Park Avenue Armory for a two months long residency which got praising reviews in the New York Times and the Financial Times and in January 2016 to play in Milano Pirelli Hangar Bicocca a concerto for piano and marquees. The Austrian visual artists, Arotin & Serghei, for their collaboration over Scriabin’s Vers la flamme at the Linz Ars Electronica festival. Their recent project, over Scriabin’s Prometheus, in the two pianos transcription, has been commissioned by the Beyeler Foundation and is being presented in November 2016. MIKHAIL RUDY CREATES THE NEW FESTIVAL "IMPRESSIONS"
From July 4 to 7,2019 will take place the first edition of the new festival Impressions in Vernon-Giverny. The ambition is to bring the arts together, "music, from classical music to jazz, dance, literature and even the visual and digital arts". We are thrilled to announce pianist Mikhail Rudy is named Specially appointed Professor of Beijing Advanced Innovation Center for Chinese National School of Music at China Conservatory of Music.